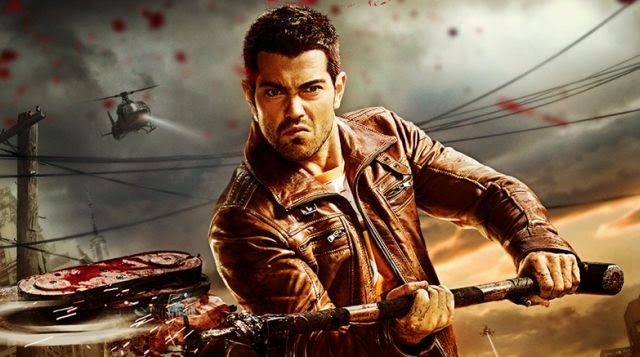 Watch the official trailer for DEAD RISING: WATCHTOWER, based on the worldwide video game phenomenon. The first release from Legendary Digital Media will be streaming exclusively on Crackle March 27, 2015. If you're unfamiliar with the video game as the title suggests its a zombie post apocalyptic tale. After a zombie outbreak, three survivors must evade infection while tracking down the cause of the epidemic. Over-the-top media coverage adds to the chaos while signs point to a government conspiracy. The series stars Jesse Metcalfe, Dennis Haysbert, Virginia Madsen, Meghan Ory, Keegan Connor, and Rob Riggle.